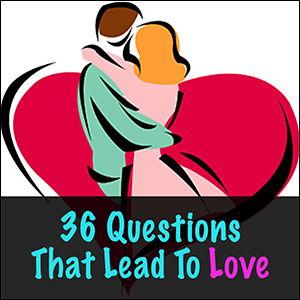 Can answering just 36 questions lead to falling in love? Can it rekindle the spark your relationship used to have? A study by psychologist Arthur Aron looked into whether intimacy between two strangers can be accelerated by have them ask each other a series of personal questions. He came up with a list of 36 questions for the study, and people answering these questions together have fallen in love. Give it a try! Start a new relationship or increase the intimacy of one you already have.